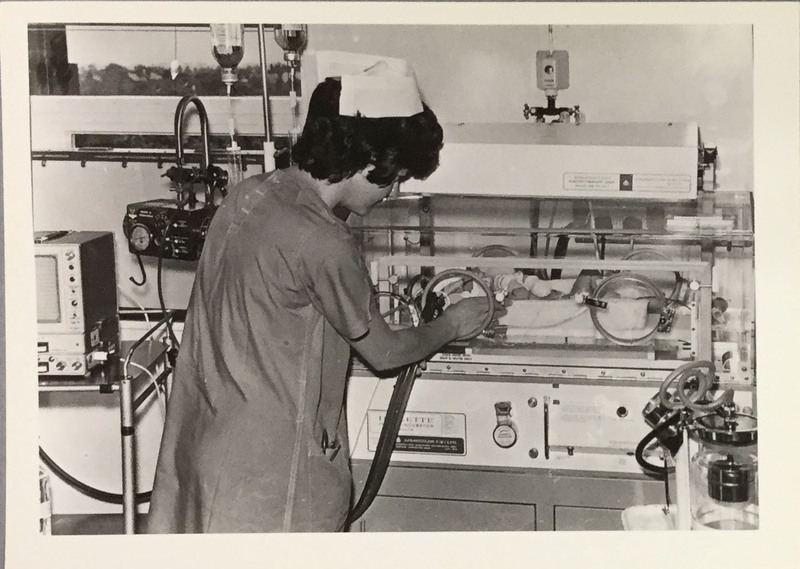 Today, the Neonatal Unit of the Simpson Centre for Reproductive Health is holding a symposium to mark a very special delivery: the 50th anniversary of the Special Care Unit, first opened in the Simpson Memorial Maternity Pavilion (SMMP) in 1968. 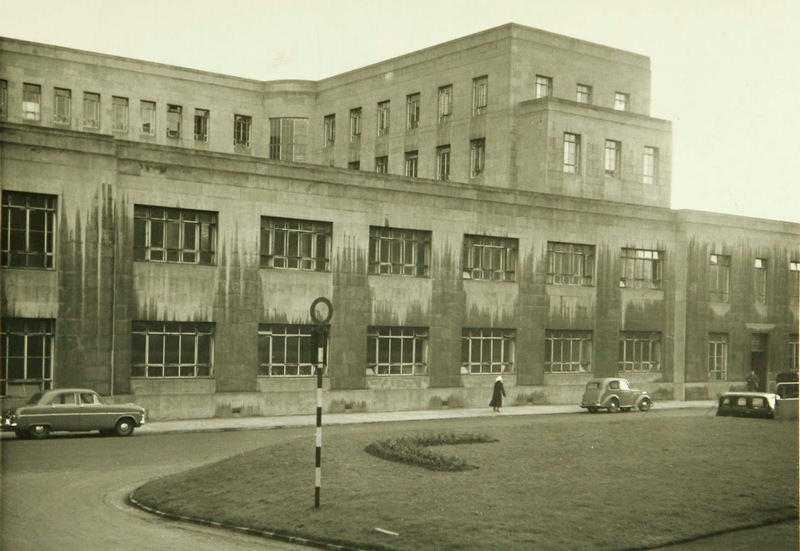 The SMMP itself welcomed mothers through its doors in 1939, moving maternity services from their old location on Lauriston Place to a building on what was then the site of the Royal Infirmary of Edinburgh. 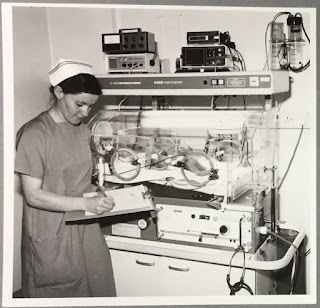 In the 1930s, the paramount concern in obstetrics was for the health of the mother, and survival rates for premature (and many full-term) infants were much lower than they were to become in the late 1960s. 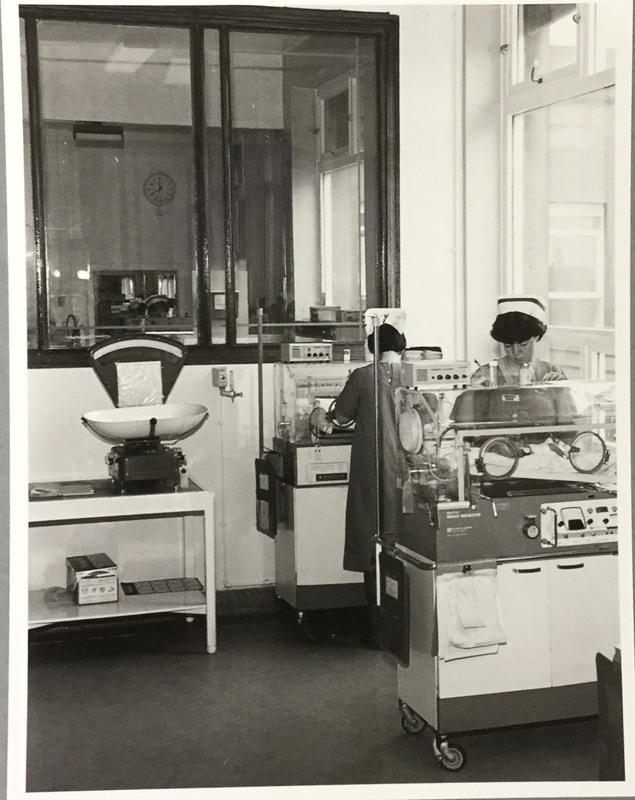 This meant that few facilities were devoted to specialised care for newborn babies. 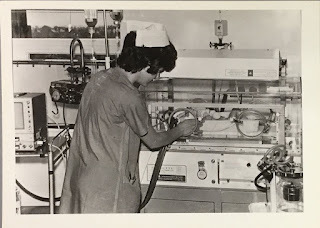 But attitudes to neonatal care were shifting, with birth practice becoming more child-centred, medicine advancing and the role of the pediatrician expanding. The maternity wards of old were no longer up to the job. The new SMMP Special Care Unit had thirty cots over four nurseries, one each dedicated to premature babies, babies with problems with their metabolism, babies with breathing problems, and babies suffering from infections. 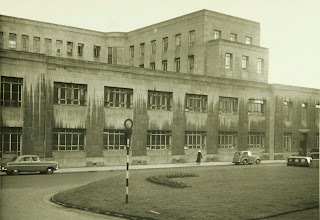 The Unit had its own staff of expert, specialist nurses, and (being based on the same site as the Royal Infirmary of Edinburgh) could call on clinicians from the Infirmary for support when it came to difficult and intricate procedures (in very small children), such as blood transfusion and anaesthetic administration. In its first year, 765 babies were admitted to the Special Care Unit, over 16% of all babies born in that time at the SMMP. 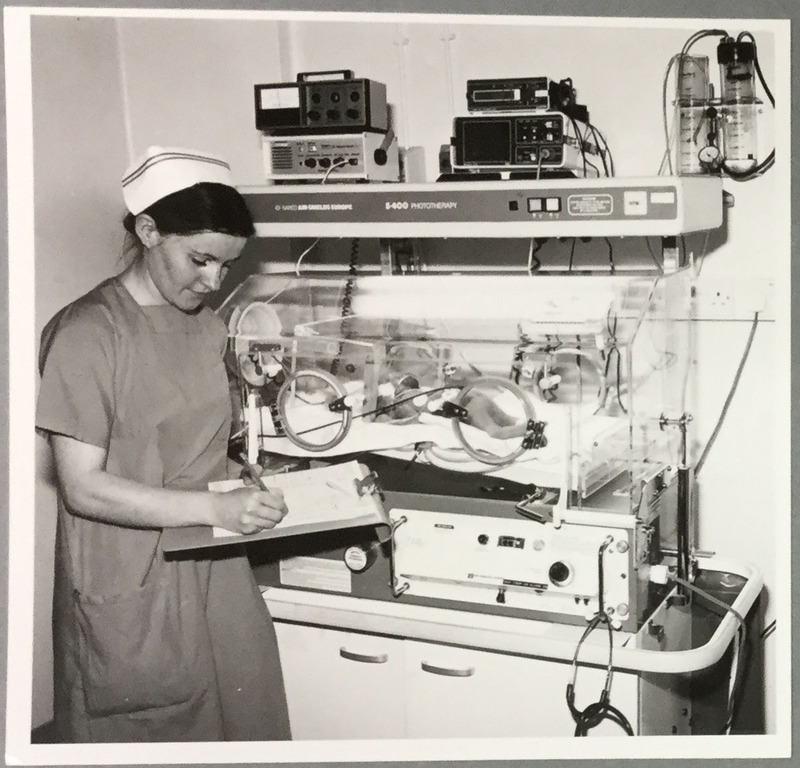 A dedicated neonatal course for nurses was also set up - ensuring that this specialist branch of care would be supported for years to come, not only in Edinburgh, but through the learning of students from around the world. 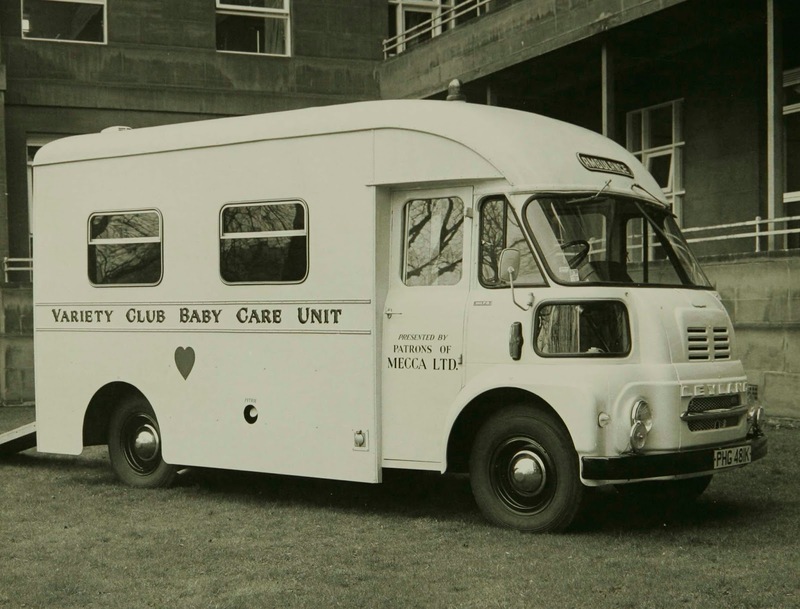 In 1972, the Unit was helped by the donation of an ambulance from the Variety Club. 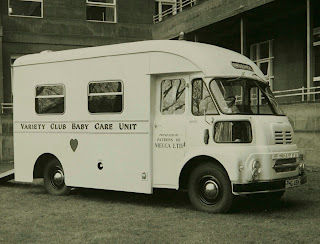 No normal patient-transport vehicle, it was designed to move at-risk or premature babies to the SMMP from areas where specialist neonatal care was unavailable. Until 1979, standard ambulances could not provide the environment nor carry equipment needed to safely transport such delicate patients. The Unit is still going strong today, helping vulnerable babies back to health and supporting parents through the most difficult times. If you'd like to read some more recent stories from parents about their babies' care in what is now the Neonatal Unit, you can see them here. What’s in store for LHSA’s 2018? We handed in our Archive Service Accreditation review paperwork last month and a visit from our assessors is imminent. We’ve had a busy three years since being awarded accredited status so there is plenty to update them on! We’ll find out the outcome of our accreditation review in March and in the meantime we’re looking forward to welcoming someone new to our team. Alice, our previous Access Officer, left us last year and we’re in the process of recruiting her replacement. The interviews are next week and we hope to have someone in post shortly after that. Watch this space - our new Access Officer will be blogging here! The next few months will be particularly busy as we make our final preparations for the new General Data Protection Regulation, which is enforceable from May, and we’ll be finishing off our Wellcome Trust-funded project to catalogue case notes relating to TB and diseases of the chest too. July sees the NHS’s 70th birthday so we’ll be getting involved in the celebrations by putting on an exhibition – more on that in the blog later in the year, and on Facebook (lhsa.edinburgh) and Twitter (@lhsaeul). And of course there’s all our usual LHSA business: we’ll be developing and preserving the collection, supporting research and teaching, answering your enquiries and continuing our volunteer and intern programme…all of which will feature here at some point in 2018. 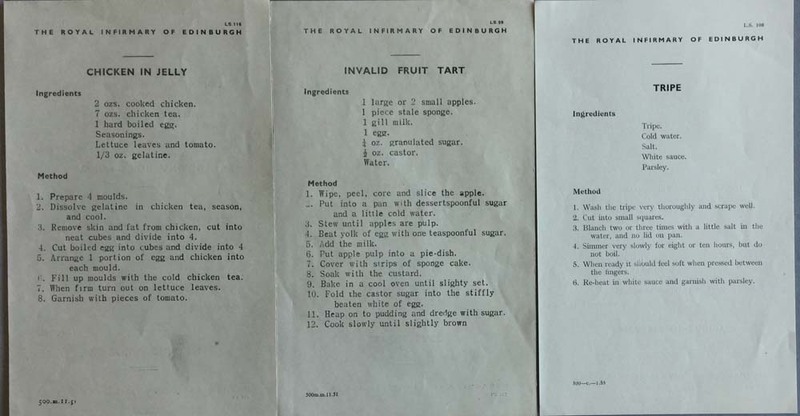 Providing access to the collections will be a big part of the next 12 months, and we started as we mean to go on by participating in a People’s History of the NHS Roadshow in Edinburgh's Central Library last week. 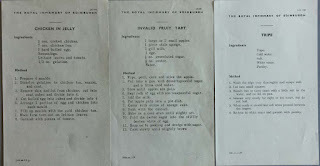 You can find out more about the event, and the People’s History of the NHS project, here: https://peopleshistorynhs.org/edinburgh-roadshow-8-january-2018/: the Royal Infirmary of Edinburgh recipes below are just a little taste (pun intended!) of the collection items we displayed as part of the Roadshow.